Are you born in April and wish to learn more about your month’s birthstone meaning and properties? Before going further, we recommend accessing our Birthstone Jewelry Guide and discover both your traditional and modern April birthstone. Apart from historical significance, these gems carry diverse meanings and remarkable powers, in particular for those who practice the art of meditation. The April birthstone is a highly valued spiritual crystal, and one of the purest most wanted gems out there. What is the birthstone for April? Let us give you a clue: nothing shines more beautifully on a woman’s finger. Yes, Diamond is the representative gemstone for those born in the fourth month of the year. What is April birthstone’s meaning according to Western customs? To provide the most accurate answer to this question, it is essential to consider that there are two April birthstones recorded since the 15th century: Diamond and Sapphire. However, if you checked our Birthstones Guide, you must have seen that these particular gems vary not only by ages but also from one culture to another. What birthstone is April known for in the Hindu society? Only rarely it happens for two birthstones to coincide in both Western and Eastern lore. Diamond appears to be one of those cases. Hindu jewelers and artisans used diamonds to create the eyes of sculptures representing deities. Thus, they associated the crystal with divine powers. The same situation is recorded in Western cultures, where diamonds have been given a pride of place in religious iconography. So, the only April birthstone alternative for Diamond is Sapphire. To stir your curiosity, you can read more about Sapphire’s meaning, symbolism, and mysterious powers throughout history. When choosing a birthstone to wear, though, we recommend trying them first. Be attentive to their vibration frequency. Feel their power and buy the one that feeds your spiritual needs. As concerns the modern April birthstone meaning, let’s go first to its etymology. The word Diamond comes from the ancient Greek “adama”, which means “unbreakable,” as well as “untamed.” Both the name and its energy are suggestive of its physical power, which is its durity. Those born in April are well-known for their strong personality traits. When wearing their corresponding birthstone, all these qualities are enhanced: courage, vigilance, grace. As they are also assertive people, diamonds will make them feel even more extroverted. Legends say that Diamond is a chosen stone. In The Curious Lore of Precious Stones by George Frederick Kunz, it is written that it was the God of Mines who made Diamond pure and indestructible. Scientifically, there are quite a few pro arguments for Diamond’s invincibility. It is unbeaten in hardness, being in the forefront of Mohs Scale of Mineral Hardness. Diamonds are also very resistant to high temperatures. What is the April birthstone spiritual significance and how did it come to be called the “stone of Invincibility”? 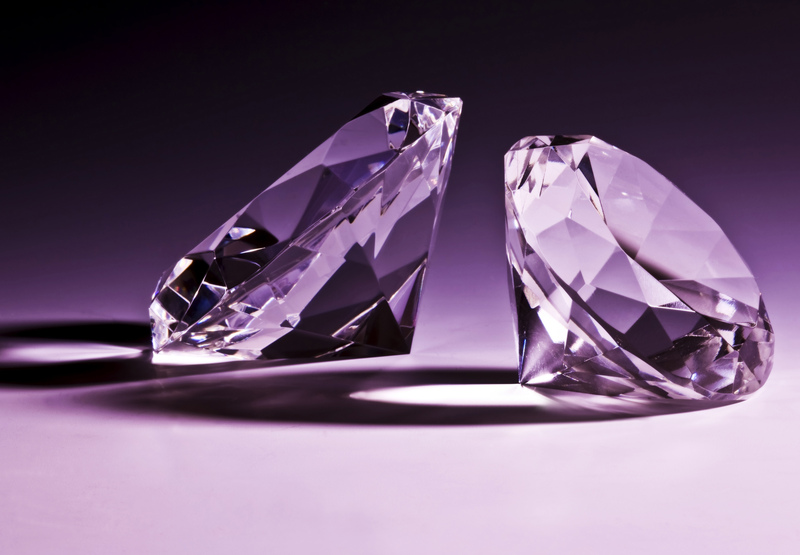 From a historical point of view, diamonds were first mined in India. They have been treasured as gemstones for more than three millenniums in the Hindu culture and society. Among its legendary uses, specialized literary texts attest that Indians used diamonds to cure several diseases, especially brain disorders. Even nowadays, diamonds are believed to be beneficial in purifying brain function and nerves. it balances all seven centers of spiritual energy in our body. Diamonds are also symbols of wealth and power. Both physically and spiritually, they manifest a high vibration that changes the energy level of its wearers. As associated with the Crown Chakra, diamonds, are thought to provide those who wear it with inner strength and balance. 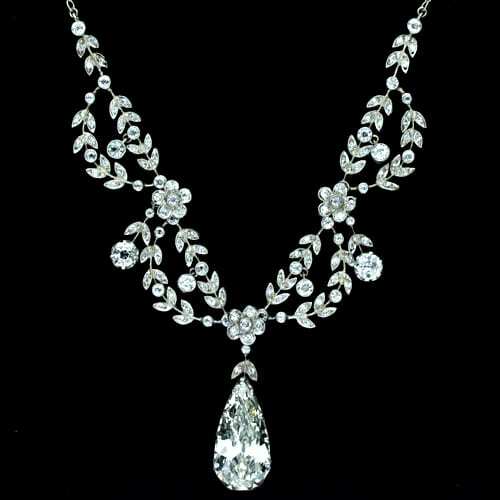 Everybody regards Diamonds as colorless crystals – the purest, the most rear, and, thus, the more valuable. But there are more color choices than one can imagine. The birthstone April is known for today is to be found in diverse hues. Be it yellow, red, orange, green, or pink, fancy-colored diamonds occur in a broad range of saturations. In this case, it is the depth of color that amplifies value and price. Vividly hued diamonds are extremely rare and highly cherished by those who wear them. Deep, intense blue diamonds, for instance, can be rated higher than colorless exemplaries. Every colored birthstone has a characteristical color energy. The bright, pure Diamond is not influenced by color symbolism, but it is considered as a crystal of light, a superior spiritual gem as it diffuses the colors of all other gems. The birthstone of April is one of the most desired gems out there. Diamond jewelry is unbeaten in elegance and timelessness. No matter if it is a colored stone or a colorless crystal, we are sure you can find exquisite exemplaries for your loved ones. An April birthstone ring is the ideal engagement ring. Diamonds are the perfect stones to mark happy beginnings and long lasting relationships. Aprils birthstone makes for astonishing necklaces. Find a trusted jeweler and make that special girl happy. Diamond bracelets are the ideal April birthday gifts for distinguished ladies. Not only they will boost their energy, but they will also increase their self-confidence. Diamond bracelets are an excellent choice as wedding bracelets too. Just like birth month gems, there are birth month flowers too.April’s birth flower is the daisy, a symbol of love, loyalty, purity and eternal friendship. Make sure to match your April birthstone gift with a lovely bouquet of daisies. Hey Buddy!, I found this information for you: "April Birthstone Meaning & Jewelry Guide". Here is the website link: https://accessgems.com/april-birthstone-meaning-jewelry-guide/. Thank you.